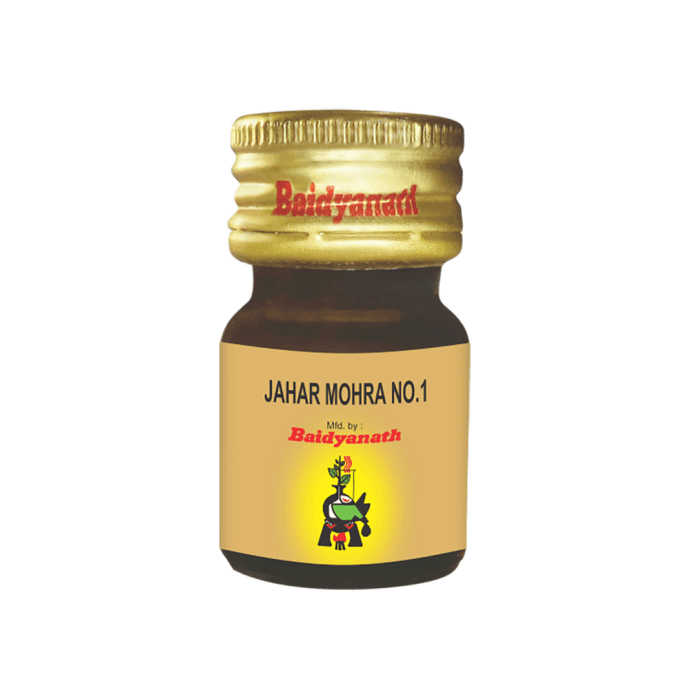 Baidyanath Jawahar Mohra no.1 with gold is available in the form of tablets. It is an excellent medicine for treating brain and heart diseases. This medicine is most commonly used by the ayurvedic practitioners in north India. Take 125 mg along with honey or milk, once or twice a day before or after food, as directed by an ayurvedic doctor. Patients suffering from cardiomyopathy should take medicine with Terminalia Arjuna Bark Powder or Ashwagandha and Arjuna Ksheer Pak. Baidyanath Kasturi Bhairav Ras Br.